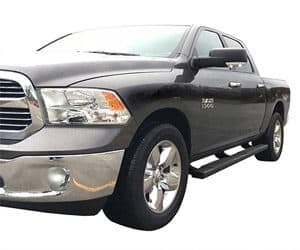 Dodge Ram is of course one of the most comfortable pickup trucks you can drive but becomes even more comfortable with aftermarket accessories. There are plenty of upgrades you can consider for your truck to make it more appealing and unique. Whether you want to enhance its performance, modify its exterior look, secure the truck bed or improve the fuel economy, you can find any aftermarket part tailored to your desires. However, the influx of aftermarket accessories for the Dodge Ram make it cumbersome to choose the best one. A novice buyer may find it challenging to choose the best parts and eventually end up wasting so much money. Following years’ of experience in the aftermarket accessories, I have compiled this list of the best 5 upgrades to consider for your Dodge Ram. Let me save you time and money with these unique mods to customize your pickup truck. Included with the reviews is the buyer’s guide to help you make shopping a breeze. OEM halogen bulbs on Dodge Rams are not as effective as the bright and long-lasting LED lights. 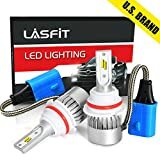 If you’ve been concerned about the brightness and other glare issues on other drivers on the road, this LASFIT LED headlights could come to your rescue with their dual beam. With 72watt, these headlights can upgrade your pickup’s lighting system and help illuminate your road. But, beware if your vehicle has no projection headlights as these lights could scatter in all directions thus distracting other drivers. Its color temperature is 6K and operates within 150 to 180 degrees Celsius. What I like the most is the consistent beam pattern that surpasses the factory’s halogen lights. More added benefits is that these lights are durable and resistant to outside elements. Unlike other cheap lights, these will not overheat no matter how long you’ve left them on. A cooling fan is integrated for this purpose of overheating prevention. With this 9007 HB5 headlights, you get a full kit to install, so you need not spend extra money procuring additional installation components. It shouldn’t be cumbersome to install these lights since they come as a kit with everything included. It’s a simple plug and play design with no excess of wires needed like the HID kit. Also, these lights are one of the smallest on the market so they will save you space. If you are unsure about the right size for your Dodge Ram model, the company’s technicians are always available to help via a call. You have a full year of a free replacement and 45 days money back guarantee should you find them dissatisfying. These headlights are indispensable upgrades for Dodge Ram vehicles. They can make your pickup stand out from the rest with quality lights that last for a long time. These are not lights that will overheat after a long drive as they come with the built-in fan. Moreover, they are waterproof and corrosion resistant. Having these LED headlights can modify your lighting system tremendously. You will enjoy driving in the darkness since these lights surpass factory’s halogen bulbs with brightness. I recommend this product. ▲Safe driving and Flawless light pattern: 72W, 7600LM per pair. Flip led chips with a better heat resistance up to 150℃~180℃. 200% brighter than the OEM halogen bulbs. Consistent beam pattern with a clear cut off, avoid flashing on-coming vehicles. ▲Warranty: American customer support team based on CA(California). 45 days free refund and 1-year free replacement. Notice: Our warranty will NOT cover installation service, labor cost, diagnostics or any other expense related to item being defective/damaged. ▲Longer lifespan and persistence: It is supposedly won't fade or overheat even after long time lighting up unlike other cheap items. The newest intelligent technology and stronger cooling fan 9000@rpm keep the led bulbs won't be dim. 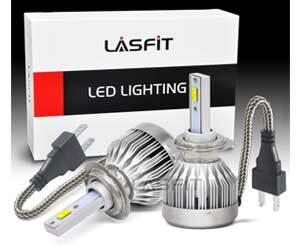 ▲Easy installation and smallest design: This LED headlight bulbs are completely self-contained and plug-and-play. Almost smallest size in the market, saving more space, unlike an HID kit which requires ballasts and wires or other led with an extra driver. ▲Important!!! : Amazon fitment system may not be 100% accurate or updated. If you are not sure about which bulb you need, please contact us with your vehicle info. Notice!!! If you want a better light pattern, just take off the base/holder from the led bulbs, then rotate it 180° and re-install the base/holder in place. Do you own the Dodge Ram 1500, 2500 or 3500? Then these towing mirrors could be the best upgrades to consider. YITAMOTOR Towing Mirrors are feature-rich to eliminate the blind spots so you can reverse safely. Also featuring the heated LED signal, they make it an absolute breeze to indicate to the attention of other motorists. Note that these mirrors are not compatible with the 2009 Ram 2500 and 3500. Among the features are the LED puddle lights that surpass the OEM halogen lights. The mirrors are long enough to give a clear view of the rear side. The mirror length is 21 inches when closed and 25.6 inches when flipped up. The overall size is 12 x 8 inches. Made of aluminum base and black ABS plastic, these mirrors will surely last you for a long time. Both the convex and plane mirror included. The mirrors are multifunctional: they can be adjusted, folded, or flipped up manually. Meanwhile, the LED signal ensures that the mirrors add to the brightness of your lighting system. 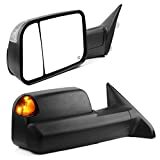 Important note is that these mirrors are ideally designed to replace your original mirrors not substitute a different make with different options. These designs were built up to strict standards; they come with quality reflective glass to reduce distortion as seen in other cheap mirrors. Given the overall design, the mirrors will add a unique style and functionality on your Dodge Ram. It’s easy to install them. But, I recommend a professional installation to avoid a warranty void. You’re given a 1 year warranty. I recommend these mirrors to anyone wanting to add personality to their Dodge Ram. But, note the exclusion of some Dodge Ram models due to incompatibilities. Other than that, these mirrors are great with a unique and multifunctional design. They feature a heated LED signal to indicate to other motorists. The convex mirrors improve rear view and eliminate blind spots. What else is missing? The mirrors a great buy to upgrade your Dodge Ram. 【FITMENT】- Compatible for 2009 - 2010 Dodge Ram 1500, 2010 Dodge Ram 2500 3500, 2011 - 2017 Ram 1500 2500 3500 (Not fit 2009 Ram 2500 3500). 【MULTIFUNCTION】- Power Adjusted Glass, Heated, LED Signal Light, Puddle Lamp, Manual Flip-Up, Manual Folding. 【IMPORTANT NOTE】- This mirror is designed to replace an original mirror with these exact options. If you do not have the options listed, there is a possibility that this mirror may not function properly. 【UPGRADED MIRRORS】- The towing mirrors provide better and wider angle of rear view, improves visibility and reduces blind spot. Upgrades on road safety. 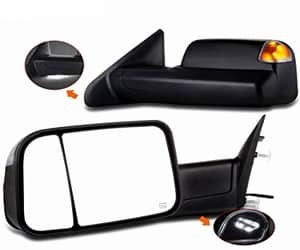 【WHAT YOU GET】- A Pair of Towing Mirrors (Include left side and right side) and 1 year warranty. No Dodge Ram upgrade is complete without a tonneau cover. These covers make your truck bed look more stylist while at the same time protecting your luggage against harsh weather conditions and criminals. 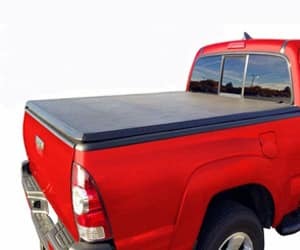 MaxMate Tri-Fold Truck Bed Tonneau Cover is one such cover that will add more value to your Dodge Ram 1500. It covers 5.8-inch long truck bed. For a Dodge Ram 1500, it fits perfectly. As for other models please ensure that the size matches because you might assume shipping costs for wrong purchases if you want a refund. Note that the cover is relatively costly as well so you can’t afford buying a wrong cover. The cover is made of dual coated 24oz marine grade vinyl which gives it more durability. The frames are powder coated with a heavy duty aluminum which resists corrosion, thus also enhancing its longevity. The overall design of this cover is a marvel to have. To install the cover, it comes with stainless steel clamps for easy of attachment, so you need no additional tools for under bed rail liner. For over-the-rail bed liner you need to drill additional holes so you can attach this cover. Also note that the cover is not compatible with tool boxes. For more support, it comes with the pre-assembled horizontal bars. This adds to the appealing design of this cover. When it’s time to load your luggage, you can fold the cover three times, hence the name “tri-fold”. If your luggage is large, you can easily remove the cover and re-install it later. For someone who’s experienced in these covers, it shouldn’t take you too long to figure out the installation. Instructions are provided for in case. Thanks to the 10 year warranty the manufacturer is offering. This extended warranty assures you that the cover was built to last. Although needless to reiterate, please make sure you buy a correct cover to avoid incurring shipping costs to the manufacturer should it not fit your particular Dodge Ram. To add more style and personality to your Dodge Ram 1500, tonneau cover is a must-have I would recommend to car owners. It is durable with powder coated aluminum frames and stainless steel components. At least you know corrosion will not be your worst enemy. Installing the cover is an absolute breeze as it comes with pre-assembled horizontals bars and clamps. Sadly, it is not compatible with tool boxes. For over-the-rail bed liners, you may need to drill holes first for the cover to clamp. Made of dual coated 24oz marine grade vinyl, heavy duty aluminum powder coated frames, and comes with stainless steel clamps for easy installation and great durability. Headquartered in California US, Tyger is a well-known designer brand of aftermarket automotive parts. 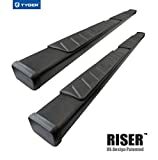 A company established by experts provides you with the Auto Side Step Running Boards for you and your passengers. With these bars, you can add personality to your Dodge Ram 1500 for 2009 – 2018 or the Dodge Ram 2500/3500 Crew Cab. Note that the bars will not be compatible with other sizes of Dodge Ram: Quad cab or the Mega Cab. These bars install firmly onto your Dodge Ram. Installation hardware and instructions are provided, and so it shouldn’t seem cumbersome to do it on your own within a few hours. Thanks to the UV resistant non-slip wide design that the bars will remain ever-green. The steel tubing is powder coated to resist corrosion more especially because the bars are always exposed to the elements. When installing, all you need is to bolt on the design and get going. You may have to drill for ¼” holes to offer more support to the brackets. Note that the product comes with a 5 year warranty, which I find very impressive. To make it fruitful step into or out of the Dodge Ram, these bars are the best upgrades for your Dodge Ram. The sad thing is that they are not compatible with Quad cab and Mega Cab; only for the crew cab. Installation is great and the design is eye-catching with rust and UV resistance. So, I recommend this product to any crew cab owner who wants to add an appealing aesthetic to his or her Dodge Ram. It comes with the 5 year warranty, which I find great. Easy Bolt-On installation. For 2009-2011 and some 2012 models, minor drilling required for 1/4'' holes through the pinch weld for support brackets. (DIY instruction included in the package). Want to modify the suspension of your car to fit custom rims and tires? 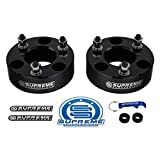 Supreme Suspension Ram Kit could be a great addition to your Dodge Ram or Dodge Dakota. Note that it is not compatible with Mega Cab. This 2.5 inches high lift kit will give your pickup truck a better clearance from the ground while not compressing under heavy loads. If you own the 2006-2018 Dodge Ram (4WD only) and 2005-2011 Dodge Dakota (2WD and 4WD), this suspension will fit snugly. You need no extra installation hardware apart from the provided ones. In a range of an hour to 2 hours you should be done modifying the suspension and ready to go. After modifying your suspension, I recommend doing a wheel alignment to ensure a smooth transformation. The product was constructed with quality material to ensure that it lasts long and does not break on your way. Before you install it, measure your Ram’s ride height because the spacer thickness is not a 1:1 ratio. Note that there are two suspensions in the package. Thanks to the T6 aircraft-grade billet that ensures that these suspensions do not compress. Moreover, the products are anodized to protect them against harsh weather conditions, so corrosion will not be a match to the coating. If you also own a Mitsubishi Raider 2006 – 2009, these suspensions can also fit on it. I couldn’t find info about the product warranty, but would like to believe it is there in the purchase. Instruction manual is given to walk through the installation process. To add an aesthetic look to your wheels, you need a compatible suspension with some custom rims and tires. This suspension is the answer. It is a top-quality suspension to upgrade your Dodge Ram. Made of aircraft-grade materials, it will surely last you for a long time. It is further anodized to prevent corrosion damages. I do recommend these suspensions. That make sure it fits your pickup truck before you make a purchase. 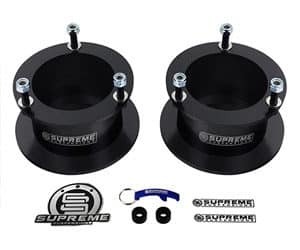 FITMENT: 2006 - 2018 Dodge Ram 1500 (4WD Only), 2005 - 2011 Dodge Dakota (2WD 4WD), and 2006 - 2009 Mitsubishi Raider (2WD 4WD). Does not fit Mega Cab models. CONTENTS: (2x) Aircraft Billet Front Strut Spacers, Installation Hardware, Installation Instructions, and Supreme Suspensions Pro Pack. TECHNICAL NOTES: 2.5 inch front suspension leveling lift. Factory shocks can be reused without compromising ride quality. Please note that spacer thickness to lift height is NOT a 1:1 ratio. It is recommended that you measure your vehicle ride height before and after to see the full lift amount has been achieved. INSTALLATION: Easy bolt-on installation takes 1 to 2 hours without the need for special tools. An alignment is recommended after install. What really should you look at when buying Dodge Ram upgrades? This is a challenging question to ask given a plethora of aftermarket accessories at your fingertips. Nonetheless, I will do my best below to clear your confusion because I know that many waste so much money buying pointless upgrades. Which upgrades are most important? The answer to this question depends on your personal preference. The top 5 I have chosen above are the most common and tremendous upgrades for your Dodge Ram. Your pickup bed could be prone to rust especially if there is no a tonneau cover. So, adding a liner will shield against elements and will also provide traction when you store luggage. Even when you have the cover, a liner is still relevant as it will protect the bed against scratches from sharp objects storable in the bed. I recommend this upgrade to you Dodge Ram as well. If you’re looking for a recommendation, I would reckon you consider the Rough Country RCM590 Truck Bed Mat. Much the same way as the liners above, floor liners and mats are equally important upgrades. Imagine after soaking in rain and walking on a mud and then getting into the car. Not only will you Dodge stink but it might be susceptible to damages and will cost you to maintain. Rubber or plastic liners or mats are cheap to upgrade your truck floors. Performance chips can play an integral role in improving fuel economy and gas flow in your engine. Of course your pickup truck comes with a factory chip, but might be limited than the aftermarket part. Compare the features and choose accordingly. To improve horsepower and fuel economy, you may want to consider exhaust upgrades to your Dodge Ram. Aftermarket exhaust systems are competitive than the factory-fitted ones. They often with large diameters to improve gas flow and boost exhaust velocity. With these exhausts you can enhance the performance of your Dodge. Aftermarket brakes can also add more safety to your Dodge Ram if the factory ones have degraded in performance. Brakes should be your priority to upgrade if you suspect that your factory brakes do not provide the needed traction anymore. Imagine trying to stop your Dodge from a head-on collision but struggling to. This could be traumatic. What to consider when buying aftermarket accessories? Although there are plenty of aftermarket accessories for your Dodge Ram, you need to be vigilant of your purchases. In case you consider any of my reviewed products, you are safe because Amazon is reputable with quality products and I did my research to ensure that the companies that sell on Amazon actually have satisfied customers. Consider the manufacturer of those products to ensure that you are guarantee a top-notch product and a great customer service. All we want is a customer service that will help us sort our issues with the products. To ascertain this, check the reviews of previously served customers then you will thank me later. Most aftermarket accessories come with their issues and some do not last long. You want an extended warranty to be sure that the product is high quality. The one year warranty offers are not impressive. I have included a tonneau cover that comes with the 10 year warranty, which proves how premium it is. When buying these products, you want accessories that can withstand climatic conditions such as water and corrosion resistance. Look for the built materials such as stainless steel and aluminum. If it is steel, ensure that it is powder coated because steel alone (not stainless steel) is not rust resistant. Aluminum and stainless steel are great in corrosion resistance. Also noteworthy is to make sure the product is waterproof. A truck bed cover should be waterproof considering the likelihood of storing water-sensitive luggage at the back. Durability is yet another factor to consider when buying aftermarket Dodge Ram accessories. Yet again, consider the built materials. Stainless steel and steel are heavy duty and thus last long. Aluminum is also heavy duty is treated well. It is lightweight but also last for a long time even though not as long as stainless steel hence the price tag difference between the two metals. I know that most people consider pricing as the determining factor. But this could be dangerous as the price can be deceiving. Not all low priced products are low quality and not all expensive products are high quality. Rather check the features first and then the price. This marks the end of my comprehensive review of Dodge Ram upgrades. 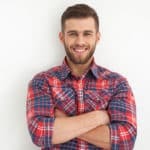 I have provided the top 5 products that are popular among many owners. Dodge Ram upgrades are great to consider as they add a certain level of uniqueness and identity to this popular pickup. Yours will stand from the crowd. Whether you want to improve engine performance, aesthetic appearance or do a few modifications, there are aftermarket accessories to meet your desires. My buyer’s guide can also help direct you when making purchases.